Hi everyone, this is Jared and Riley. 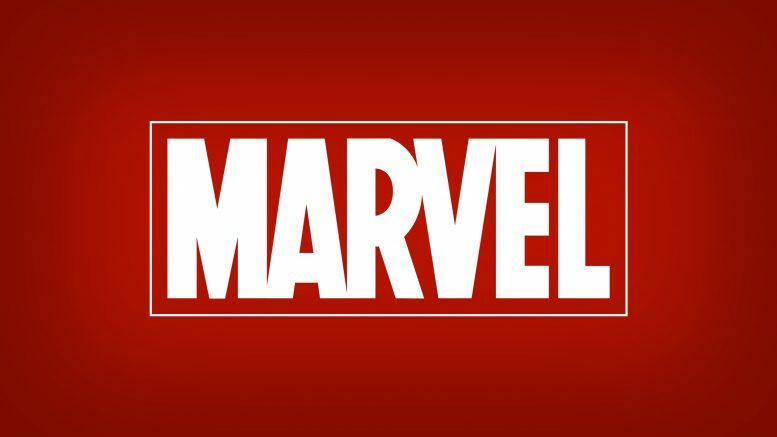 We will be predicting what will happen in the future of the MCU (Marvel Cinematic Universe). We will be talking about the movies and characters that we think will appear in the next batch of MCU movies, Phase 4. After the Sony/Marvel Spider-Man deal, at least 2 more Spider-Man solo movies are in the deal. We believe that Marvel will build up to a Spider-Man vs. Sinister Six movie. In this potential Spider-Man movie, Spidey would against the classic villain Scorpion. We chose Scorpion because he is a classic Spidey villain and would be a great hint at the Sinister Six. Black Cat could be a possible ally for our web-slinging hero. Scorpion as a villain would be a great set up for the Sinister Six. This is one of the only Phase 4 movies that is confirmed. It has also been confirmed that Adam Warlock will show up somehow. I believe that Adam Warlock will start out as the villian and end up helping the Guardians. This movie will take place right after Infinity War, and the team will include Groot, Rocket Raccoon, Star Lord, and Nova. The movie will start with the Sovereign attacking the Guardians and sending Adam Warlock, (possibly) having the soul stone in his head, over to kill them. Adam Warlock will later learn to be good, and help the Guardians to eliminate the Sovereign. The end-credits Scene would introduce the Skrulls to be the villains for Secret Wars. It’s been a long time coming but we believe that Black Widow will finally get her own solo movie. We believe the plot of this film would have something to do with the infamous Red Room organization. The Red Room was talked about in Avengers: Age of Ultron as a secret organization in Russia which turns young girls into highly skilled and trained assassins. This Black Widow movie would be about 1. Widow’s origins in the Red Room or 2. About Widow taking the organization down. No matter the story, it’s time for a Black Widow solo film. This would be the sequel to the money-making movie, Black Panther. The villains would be Namor and Kraven. They would be introducing Namor for his own solo movie and Kraven for Spider Man 3. Also, Martin Freeman will be reprising his role as Everett K. Ross. Namor will see T’Challa announcing at the UN that he will help the world and he will feel threatened. He will take his Atlantean army and fight Black Panther and the Wakandan army. Kraven will be from a neighboring African country and ask for money to help his country. T’Challa will say no, and Kraven will get mad and fight him. Kraven will lose, move to New York (that’s where his stays for Spiderman 3), and White Wolf (Winter Soldier) will lead the Hatut Zeraze to New York, but they will not be able to find him. White Wolf (Winter Soldier), will stay in New York to keep on looking for him in Captain America 4. In the end-credits scene, they will introduce Moon Knight, which we will get to later. This Doctor Strange story would follow the original comic story. This Doctor Strange starts with Wong, the Doctor’s right hand man, contracts terminal cancer. The Doctor travels to find a special medicine that cures any disease. Another disciple of the Ancient One tries to stop Strange from taking this ancient medicine. This would be a great arc as this story is one of the most beloved comic story for Doctor Strange and this would show a new side of the Doctor in the MCU, a more caring and compassionate man. This would be the final Ant-Man movie. It will be without the Wasp and the villain will be Crossfire. Crossfire is a highly trained assasin, a former CIA operative, and an expert marksman. He is also the cousin of Darren Cross (Yellow Jacket) and that is why he will want to kill Ant-Man. Also, Ant-Man will be in grief because I believe Hank Pym will have died in Infinity War. After the decimation of Xandar by Thanos, the Xandarian police force, the Nova Core, will need to elect a new leader, they will choose the native New Yorker named Richard Rider. Richard would lead the Nova Core. Richard, in the comics, has superhuman abilities such as flight, superhuman strength and superhuman speed. The villain of this movie would be the Sovereign, the race of genetically perfect people featured in Guardians of the Galaxy 2. Adam Warlock would also be featured. Personally, I would be very excited if this movie were announced as I love the character of Nova and this movie would tie in well with Guardians of the Galaxy. This movie would take place in New York, and it would be the Winter Soldier as Captain America (hence “The New Shield”). The villain of this movie would be Taskmaster, the infamous villain that can duplicate any ability that he sees. This would be a great challenge for the Winter Soldier because like I said, he can duplicate his every move. This would take place almost right after Black Panther 2, when Bucky comes to New York to hunt down Kraven. In the end-credits scene, we will see what Kraven has been doing and we will see Scorpion, Vulture and Kraven meet to discuss the Sinister Six. This would be Moon Knight’s origins in the MCU. He is pretty much Marvel’s version of Batman, but he has superhuman strength, endurance, and reflexes. However, the strength of these powers depend on the phase of the moon. Marc Spector (Moon Knight) moves to Egypt to work for a guy named Raoul Bushman. Bushman used Spector, a former Marine, as a mercenary, and Spector could not get out of it. Spector then ventures into an abandoned Egyptian tomb, where Spector gets his powers. Spector then fights down Bushman’s entire organization full of mercenaries and killers. Yes, another Thor movie… we know. But this time, they will introduce a new character to take Thor’s mantle. We will meet Beta Ray Bill, who will eventually be the new Thor. Beta Ray Bill is a horse-like character which, in the comics, wields Stormbreaker (the hammer Thor gets in Infinity War). This will start with Thor and Beta Ray Bill fighting, but then they will come together and fight the ultimate villain, Mephisto. Mephisto is Marvel’s version of Satan, he has demonic powers, cleverness, manipulation, and he can shapeshift. I believe he will shapeshift into somebody like Korg, who Thor trusts, and then Mephisto will deceive him. I believe Thor will die in this movie, and it will setup Beta Ray to be a part of the New Avengers. As part of our Spider-Man: Graduation buildup we would need to introduce some villains and who better than Doctor Octavius. Doc Ock would make an amazing movie and would be more than just a villain who wants to kill everything. Ock has real motivation and we would love to see that on screen. This story could be the origin of Ock’s famous tendrils and how he became a criminal. The end credits would feature Hobgoblin and would continue to build up to Spider-Man: Graduation. I am going to be honest here… I do not know what this will be about, but it is happening. This movie will most likely be set after Infinity War so we do know that the setting will probably be modern. Overall, we know a Captain Marvel Two is happening but this movie will be dictated by its predecessor which drops in 2019. We think that Ms. Marvel (Kamala Khan) will be introduced in this movie. This would be Namor’s solo movie, after being introduced in Black Panther 2. The villains would be Bi-Beast, who was in Thor Ragnarok as one of the heads, and Kingpin, who I think would be great as a Namor villain. I do not know what the plot would be but I think that they will do this movie. The Eternals are race of humans created by the celestials, space gods, who were created to defend Earth. This storyline in the MCU will be used to further the cosmos and act as an origin for the Eternals. Nothing much to say about this movie, all we have for it is a title. This movie is a wild card in Phase 4 and could end up being one of the best movies of Phase 4, or one of the worst. This would be another new character that would be a reboot of the old movies. This movie will also recast Blade because Wesley Snipes is old (sorry… but he is). Maybe John Boyega… The villain of this movie would be Morbius, the Living Vampire, who is one of the most powerful Blade villains. This would be a whole new idea that the MCU has not discovered yet. Scorpion, Vulture, Doc Ock, Kraven, Hobgoblin, Mysterio would all star in this 3rd and final Spider-Man film for phase 4. We have made some changes from the original comic version of the Sinister Six to better fit the MCU and the movie screen. The classic villain group, the Sinister Six, would finally meet in movie form to attempt to take out the Web Slinging hero. This movie would be the second largest series in phase 4 behind Secret Wars. Unlike the comics, the Sinister Six would fight Spidey all separately, this group would act as the Avengers but evil and Spider-Man would have to call in help from people such as the White Wolf, Black Panther, and the rest of the New Avengers. Spider-Man would lead the Avengers in this movie which would be a new tale on the classic group and give us some insight into Spidey’s growth as a character. This film would be a fantastic one and would be a culmination of everything we love about Spider-Man. Spider-Man would lead a small group of Avengers which would consist of Doctor Strange, Black Cat, Ant-Man and Bucky. This would be a solo Beta Ray Bill movie after he is introduced in Thor 4. This movie would be right before Secret Wars, and so it would be a build-up. Beta Ray Bill would be fighting Godkiller, who is a Super-Skrull specifically designed to kill Asgardians. This would be a massive challenge for Beta Ray Bill considering he recently got his powers. This would also explain the Skrulls, why they are coming to Earth, and why they are trying to kill everyone. This movie could introduce Quasar, essentially Marvel’s version of Green Lantern. The two would team up to fight Godkiller, and save the universe. Avengers: Secret Invasion 1 and 2 would be the two movies to close out phase 4. The villains of Secret Wars, the Skrull (featured in Captain Marvel 1) are a shape-shifting race of aliens who are very powerful. The premise of the movie would be the Skrulls invading Earth but not by assuring the planet, but by taking the place of powerful humans and running the world. This storyline would be about the Avengers struggling with these shape-shifting aliens as they start to change into fellow Avengers. Secret Wars 2 would be the conclusion to phase four of the MCU. The end of the two part series would end with Doctor Strange dying in order to expose all of the hidden Skrulls leaving an opportunity for the Avengers to finally end the Secret Invasion.